In the 1966 science fiction movie Fantastic Voyage, researchers miniaturize a delivery mechanism and inject it into a human body. In a modern-day sequel, engineers at the University of California San Diego have developed tiny ultrasound-powered robots that can swim through blood, removing harmful bacteria along with the toxins they produce. These proof-of-concept nanorobots could one day offer a safe and efficient way to detoxify and decontaminate biological fluids. 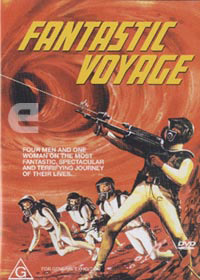 You might also enjoy this article Proteus Microrobot Video: A Fantastic Voyage.